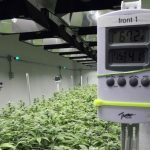 One of the best crop production techniques in the market today, especially for weed farmers is hydroponics farming. Many of the farmers that practice hydroponics growing of their plants use the DWC system. 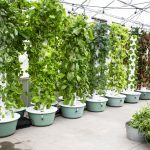 DWC or DEEP WATER CULTURE may sound strange to some people but to those that do hydroponics plant production, the term may not sound very strange. This method requires the suspension of plant roots in a nutrient rich oxygenated water solution. Others common hydroponics methods are are nutrient film technique, and ebb and flow. Among all these methods, Deep-Water Culture system, which is the simplest. The reason why the method gets the name Deep-Water Culture is that the plants grow from a reservoir filled with the right amount of water. The more water the reservoir has the less maintenance the crops need and the more nutrients the solution holds. Below is a look at our pick of the best DWC system. 4 What are the most important components of a DWC system? 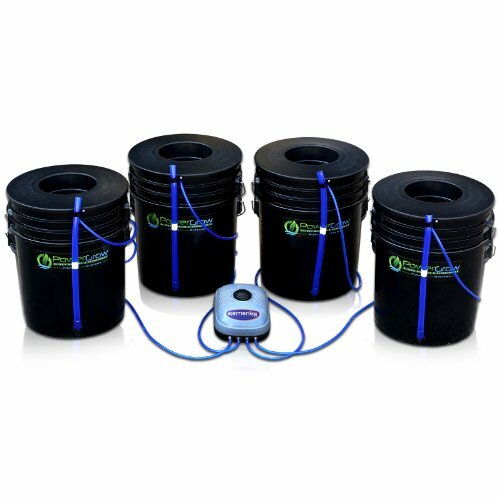 This DWC hydroponics bucket from PowerGrow Systems is one of the inexpensive yet effective ways to grow weed hydroponically. You do not even need too much effort when using the method because all you need is the system, the drops and all your ingredients and you are ready to go. The system comes with everything you need to make your growing session easy and fast. The FDA approved gallon comes complete with an Air Tubing, Air Stone, 6” Net Pot Bucker Lid, 44 Gph Air Pump, 3 Grodan Rockwool Starter Plugs, Blue Water Level Indicator + Drain and an Instructions Manual. You also get 1-year manufacturer’s warranty. 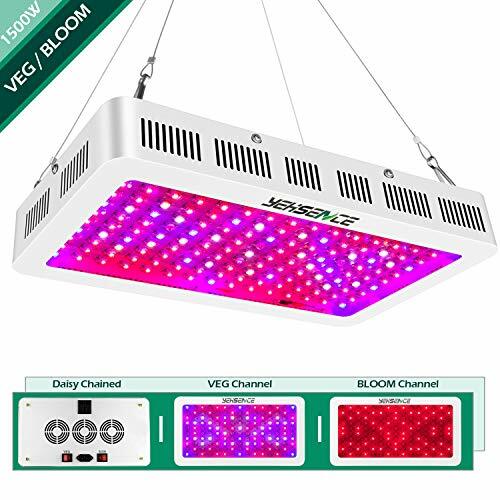 The product is affordable and definitely, the best thing you can get if you want to have a go at having the best hydroponics yield from your weed. 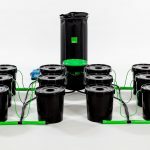 You do not have to spend a ton of money to grow your hydroponic weed crop because PowerGrow has some of the best inexpensive DWC systems in the market. 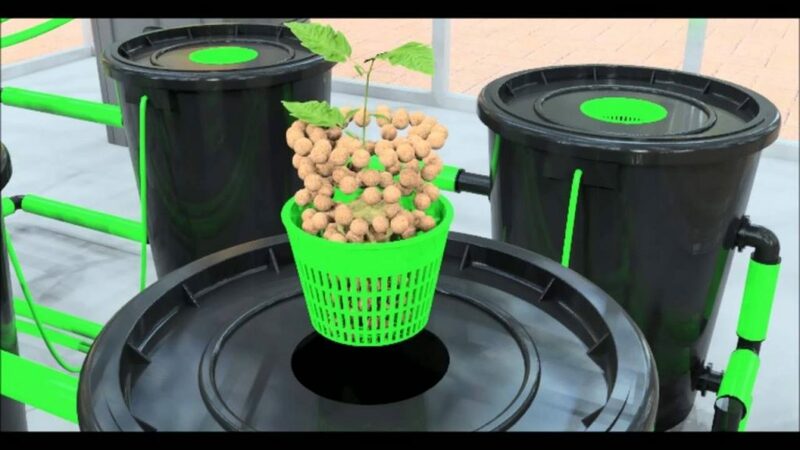 One such system is the Bubbler Bucket Kit, which allows you to grow your crops within a very short time and with absolutely very little effort. 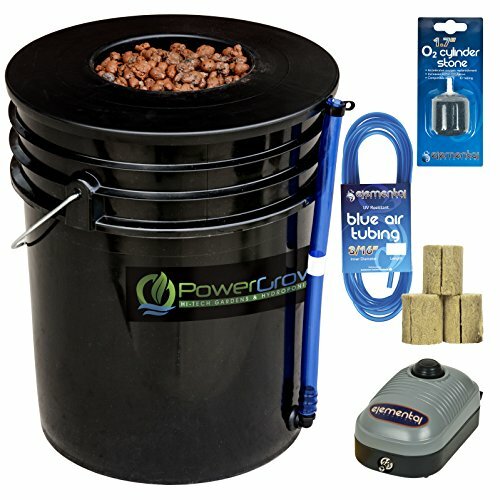 The system comes with everything to make your crop growing easy which includes 4 FDA Approved 5 Gallon Buckets, High Powered Oxygen/Air Pump, 10” Net Pot Bucket Lids, Air Tubing, Blue Water Level Indicator + Drain, 4 Oxygen Dispersing Air Stones, Instructions Manual and A 1-Year Manufacturer’s Warranty. The easy to use system is easily expandable and allows you 4 growing sites of weed until they reach their maturity in just one system. Save money, buy this great product, and make money from the high yield. Growing your hydroponic weed crops does not always mean that the systems you use must look dull and unattractive. You can use nice looking systems to enjoy the growth of your crops. The above DWC has an attractive and unique design that combines top feed aerated recirculating drip withy DWC to provide the crops with a quality drip system. The kit is easy to set up and it comes with everything you need to start your gardening immediately. Compared to other traditional hydroponics systems, the Atwater HydroPod uses the recirculating method of gardening which saves on water. The plants using this system use only the water they need and the rest recirculates for continued growth. Water does not evaporate with this system as it does with many others. The other systems included in the kit are a 5 Gallon Food Grade Black Bucket, 8” Mesh Bucket Lids, Water Level Indicator, Dual Outlet Air Pump With All Tubings, 4” Air Stone, Drip Ring and Water Column With Aeration Drive Fittings, Dual Elbow Connectors, pH Testing Kit, Hydroton Grow Rocks, Powdered Grow and Bloom Nutrients, Instructions Manual on Nutrient Mixing, Set Up Instructions Manual, Starter Cubes, and a check list of all the parts present. Made in the USA, this product will make your hydroponic crop growing fun. If you are looking for a practical hydroponic system that will deliver good results, bubble boy will give you everything you need. The system is good irrespective of what kind of a farmer you are. That is to say, whether you are a novice or a professional, you can trust the system to give you the best results you will not get from many other systems. The system is simple to operate and comes with larger dual outlet air pumps compared to other systems. This allows the crops to get more aeration thus increasing oxygenation, which the crops need for growth and more production. The reservoir is dark and made from heavy-duty material, the darkness helps to guard the system against algal growth and to keep the weed roots healthy and white. The bubble boy 3,5 gallon also comes with a factory pressed lid to ensure that the reservoir does not let in any light from outside. Growing of your crops gets even easier because the reservoir comes with an instructions manual. 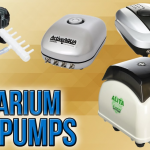 Other accompaniments are an Electrical Air Pump, 4” Premium Air Stone, Air Tubing and an Adjustable Dual-Outlet Air Pump. SavvyGrow helps to bring your crops to life with their medium sized DWC bucket that allows you to grow your weed with ease from the comfort of your home. The kit comes with a complete set of systems that make the growth process easy for both novices and professionals. It has reliable airstone that oxygenates the water allowing the crops to grow looking fresh, healthy and clean. The system allows the plants to keep their vitamins and minerals and you do not have to use any extras like chemical pesticides and fertilisers because you have everything covered. Using the kit also allows you to transfer your seedlings easily to a greenhouse without the worry of the soil conditions because the crops have enough nutrients to aid their growth. Besides the DWC bucket, the other components of the kit include a Water Indicator, Assembly Instruction Manual, Tube and Clay Pebble, Airstone, and a Power Pump. With a kit that is 3.5 faster than soil, you can enjoy your organic weed gardening with ease. This is another elegant hydroponics growing system that will make your gardening work easy and fun. The basin cover and a planting basket are made with a dark material that prevents light from entering into the basin. This reduces the growth of algae in the nutrient rich water solution, keeping the plants healthy, fresh and clean throughout their growth. The kit increases the weed yields and reduces the grow time. The kit includes a Buoy, a Box, 6 Planting Baskets, 1 Tweezers and 6 Planting Sponges. On the side of the kits basin cover is a chug cylinder that acts as an air bubble or as a nutrient solution level. The setup is small and easy, making it convenient for anyone to use. One of the things that make hydroponics special is that it is versatile and you can use different kinds of systems to grow your crops. Though majority of the systems use a bucket, there are other systems that also deliver the same kind of results as buckets do. One such system is the DreamJoy hydroponic grow kit. The kit comes with 4 pipes that you use for your hydroponic weed growth. The 4 pipes have 36 sites to grow your crops. You can use a time controller or recirculating DWC when using the kit. One important thing to note is that you may need a reservoir tank to go with the kit. Installation of the kit is DIY and since it does not come with a power strip, you need to provide one. Set your kit in a place where it gets enough sunshine for the crop nutrition. The setup is easy, time saving and does not occupy a big space. The hydroponic kit is good for both indoor and outdoor crop growth and you can rest assured of high yields of crops that are well nourished and fresh. This is yet another bubble boy system that delivers professional crop growth results irrespective of whether you are a first time grower or an experienced one. Bubble boy systems give aeration of the crops a first priority and this is the reason they come with larger dual outlet air pumps as compared to other systems. They also have higher quality air stones that provide the crops with increased oxygenation and better water diffusion. 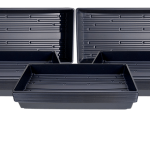 The system is a heavy-duty black reservoir with a factory pressed lid that ensures the reservoir stays dark at all times. This helps to prevent the growth of algae, keeping the plants, healthy clean and fresh all throughout their growth. 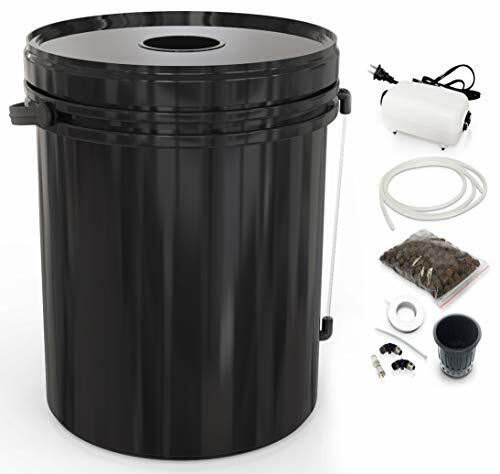 The 3.5 gallon accommodates one medium sized plant and comes with instructions, hydro tips and high quality hydrostone clay pellet grow medium. You can grow your weed hydroponically without spending too much money and still getting the best out of the process. 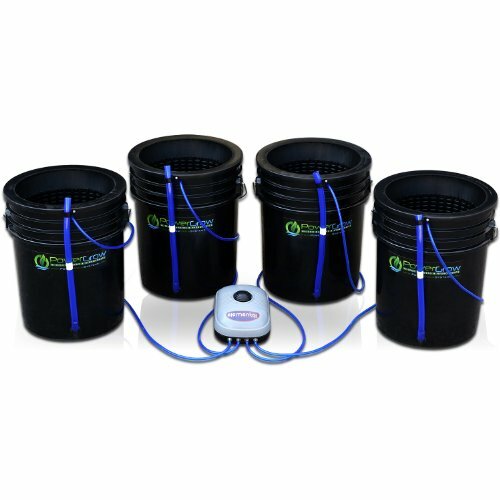 The above product is one of the most inexpensive yet effective DWC systems in the market. 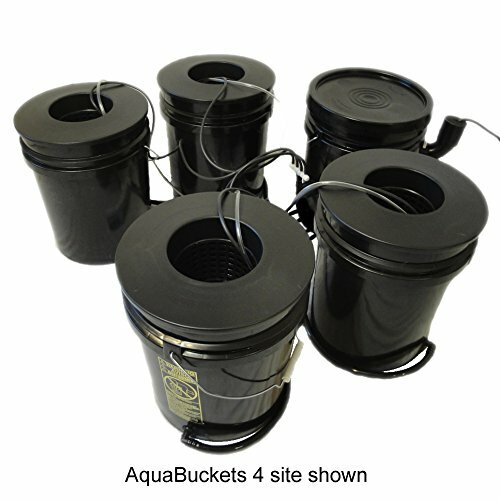 It has a watertight seal that ensures the system does not get any leaks, the bucket is 8 inches, which enables medium growing. Other features that make the DWC system stand out are the multi-purpose air hose that delivers clean air to the bottom of the bucket from the pump, the highly oxygenated air that ensures the crops grow healthy and strong and the ease to use the system. Other components that come with the bucket are a 0.5-inch grommet, tubing, air hose assembly and an air pump. 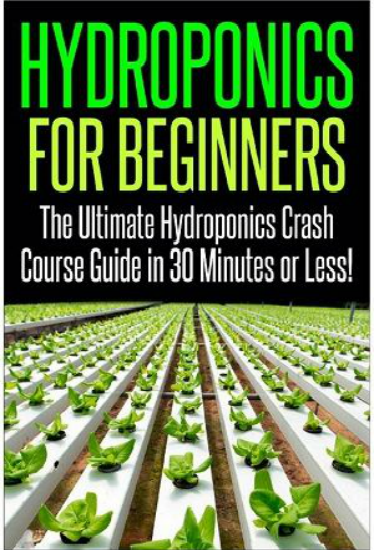 Now that you know the products that best suit hydroponics growing, it is good to understand further, what DWC is and what it entails especially for those trying hydroponics for the first time or those that are thinking of venturing into the system. In DWC HYDROPONICS SYSTEM, plant roots grow suspended in an oxygenated in a rich nutrient and water solution. The three sections of the solution, water, oxygen and nutrients provide the weed crop with everything they need for healthy growth. Oxygen plays a big role in making sure the roots get the oxygen they need from the water spaces, as there is no soil in the solution. With the oxygen, the crops would drown in the water. To make sure that the water has enough oxygen always, an air stone and pump are used. Water, which is the main hydroponic farming system, means that you will not need to water your crops. Water acts as the soil in this case. Nutrients are necessary for the growth and health of any crop. Good quality soil contains all the right nutrients that foster proper and strong growth for the crops. In hydroponics, no soil is present but the water needs the nutrients in order for the crops to grow. In this case, the water is fed with nutrients that boost and nourish the weed crop. 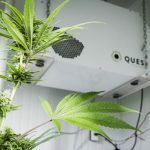 If you choose to use the DWC system for your hydroponic growing, below are the things to look for in order to ensure that you get the best out of the product you purchase. You do not want to buy a bucket with a reservoir that will require you to keep filling water all the time. Make sure you choose a reservoir that can hold enough water capacity for the complete growth of your crops. Sometimes though you may need a system to plant small crops and that will mean buying a smaller system. The small systems come with small reservoirs that you have to keep filling with water from time to time. The larger sizes do not need any refills and the crops can grow with the reservoir has until the last day. The place where you want to place your hydroponic will determine the weight of the whole system. 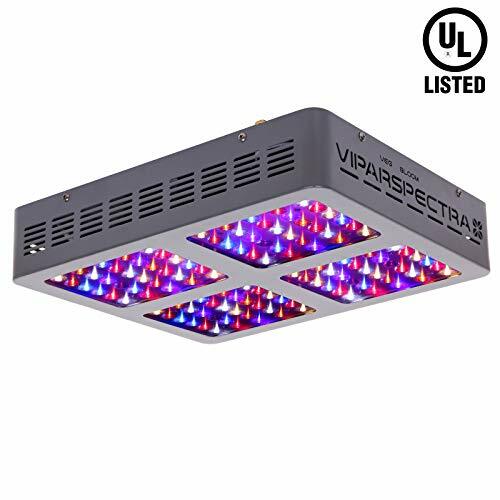 If you are growing your crops indoors and thinking of using the shelves as the places to hold your hydroponics, then you should go for a light system. If you are doing it in a greenhouse or outdoors, then you can for a larger system with a bigger reservoir. Remember one of the most important ingredients for the plants to go well is oxygen. Make sure your system has an air pump, good enough to keep the plants oxygenated at all times. When you are beginning, you may want to start small but feel the need to grow more with time. It is advisable to get a system that can expand to accommodate more crops if you are aiming for a higher yield. What are the most important components of a DWC system? Many people grew up with the knowledge and belief that only soil ids ideal for crop growth. Not many people know that water and nutrients too are enough to make crops grow and give high yields, using the hydroponics DWC system for this kind of growing is the simplest and cheapest hydroponics growing method. The system is low to maintain with very little monitoring and it suits large, medium and small crops. Due to the easy assembly of the system parts, it is a great method for those just beginning weed hydroponics growing. However as great as the system is, if you are new to DWC hydroponics system, you should check the behaviour of the crops regularly just to be sure that everything works well. Hydroponics is not only easy to use but they save water, which is a huge problem, is some areas that have irrigation problems. 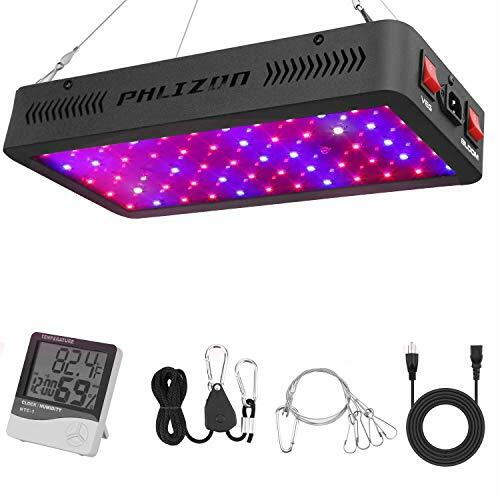 Get yourself one of the above-mentioned products today and enjoy stress-free weed hydroponics farming from the comfort of your home.